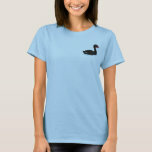 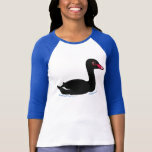 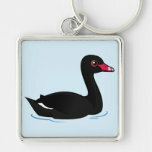 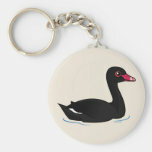 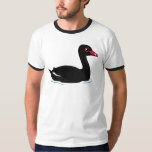 The Black Swan, Cygnus atratus, is a large species of waterfowl found in southern parts of Australia. 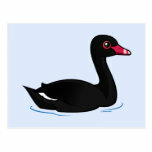 Besides the black body plumage, the birds have bright red bills and white flight feathers. 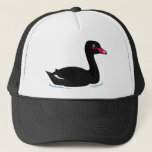 Black Swans mate for life. 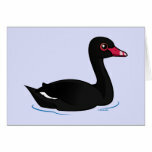 Nesting occurs from February to September and both adults care for both the eggs and later the chicks.